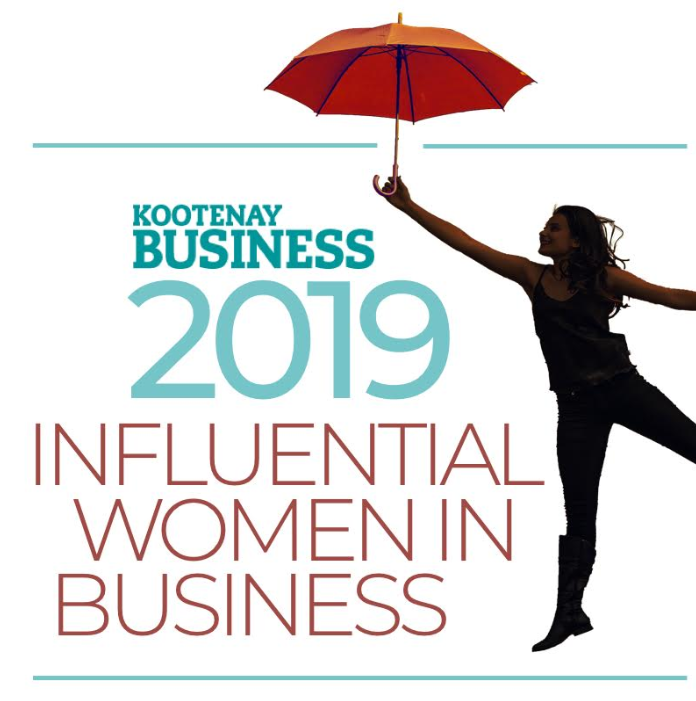 These influencial women were nominated for being outstanding Kootenay entrepreneurs. Due to a fantastic response from our readers, we are once again holding our annual Influential Women in Business awards. We received several nominations, many with heartwarming comments about the impact these ladies have had on their customers and communities. Through her company, OM Organics Boutique Apothecary, Asselin prides herself on making high-quality beauty and self-care products without using toxic chemicals. At the Kimberley Centex Market, Bentley-Lobban helps customers eat healthier and promotes other local businesses by selling a wide selection of food grown and made in the area. As part of Canada’s largest private sale network, Biberdorf makes it easy for customers to achieve their real estate goals with her attentive and efficient service. Lori Cameron always goes the extra mile for her customers. She is known for her creatively customized gift baskets, huge variety of tea blends and generous contributions to her community. Michelle Cubin, Healing Hollow Essential Oil Co.
Michelle Cubin took her passion for healing and extensive knowledge, and applied it to her business, Healing Hollow Essential Oil Co. She creates oil blends in small batches, taking care to get all her ingredients from the cleanest and most reputable sources. 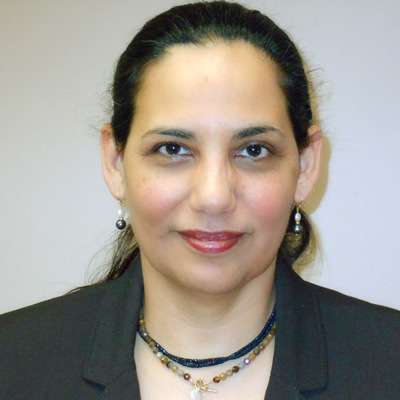 Dr. Denoon is the owner and founder of her clinic, and she has earned a shining reputation for excellent patient care. She practices integral medicine, combining a number of approaches to treat all aspects of a condition. A professional athlete and fitness model, Dickson uses positive encouragement and motivation to help her clients achieve their own fitness goals. Robin Dixon, The Grater Good Kitchen Supply Co.
Dixon opened her store, The Grater Good Kitchen Supply Co., to inspire new and experienced cooks alike with an array of kitchen tools, gadgets and decor. Fiddick puts her heart and soul into the Black Salt Cafe, where you can choose between several healthy-yet-tasty menu options. Pat Fleck brings her expertise to this family-run business, which has been a staple in Creston for decades. Morris Flowers offers beautiful floral arrangements, gardening supplies and live plants. Michelle Forbes is a co-owner of the popular Kimberley City Bakery, which specializes in Swiss, French and German baked goods and pastries. Forbes puts her personal touch on each baked delight, using fine ingredients and traditional methods. Garrett has a pride-worthy team at her business, and has been an entrepreneur in the East Kootenay for more than 15 years. She skillfully provides year-round bookkeeping, personal and incorporated (T2) taxes, and payroll services. Having worked at the Tivoli Theatre since the ‘70s, Geddes has watched the business and its technology evolve over the years. Since taking ownership, she has implemented many more changes and updates to make this community landmark even more appealing to Creston movie-goers. As Chief Operating Officer of the St. Mary’s Band, Jody Gravelle has made a tremendous impact on the ʔaq̓am community. Her positive attitude and diligence have made her an asset to the Ktunaxa Nation. Gyorki goes above and beyond to promote the beauty that is Fernie, B.C. She is the executive officer of Tourism Fernie, and it’s clear that she loves her work! Hamilton can assist you in preserving your favourite memories, with her expert skills at newborn, maternity, and family photography. She has a knack for artistry and capturing the personalities of her clients. As the director of sales and marketing, Hetherington has added her own spark to the beloved Fairmont Hot Springs Resort. She has the experience and ability to make a great Kootenay vacation spot even better. Part of the family-owned and operated construction business, New Dawn Developments, Leanne Jensen is also the president of New Dawn Restorations and Renovations. She sets an excellent example of leadership and business savvy. With an aim to empower, educate and inspire her clients, Keane offers acupuncture, counselling, massage therapy and a comprehensive fertility program. She owns locations in both Cranbrook and Kimberley. Owning two bustling eateries is no small challenge, but Leclair-Dodd manages to do it with style. Pedal & Tap is located in the heart of the Platzl, and The Shed is on Deer Park Avenue. Both serve quality pub food and cold beverages to enthusiastic patrons. Loren is the owner of Dewey’s Pub and Grill - one of the classiest lounges in town. She is known for her bright personality, business expertise and exceptional customer service skills. Medhurst began her career by helping out in her parents’ blacksmithing shop (Kootenay Forge) in Crawford Bay. Later she pursued a business education, and eventually purchased the shop with her husband. She hasn’t looked back. 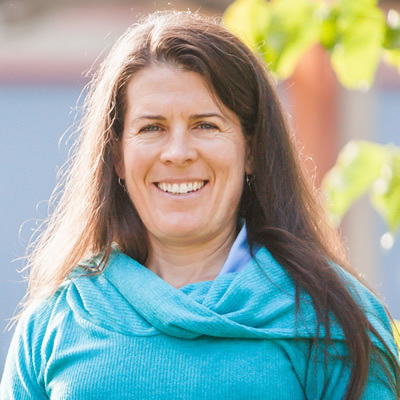 Councillor Codie Morigeau was elected to her position in the ʔaq̓am community back in 2013. Since that time, she has done amazing work on several committees, and has helped community members reach their employment goals. Brenda Palmer began her entrepreneurship as a single mom looking for a way to support her children. Now, you can find her healthy, delectable products in almost every grocery store. In serving Vietnamese street food from the Chopstick Truck, Sydney Salvador found her niche. Along with her sister and co-owner, Taylor Salvador, Sydney has won a number of awards for their delicious menu. 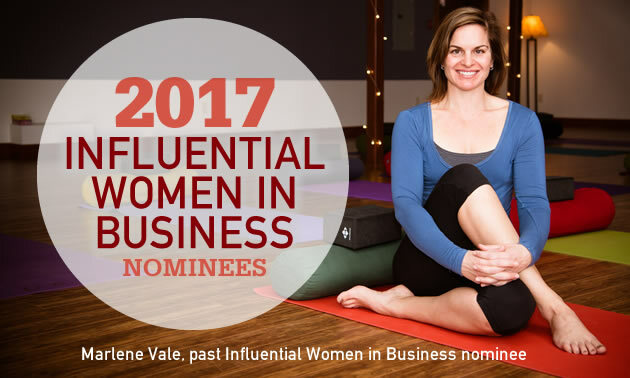 As the general manager and co-owner of Nufloors, Samuelson has made her mark in Creston for being a top female entrepreneur. Nufloors is a family-owned business that has provided flooring solutions for more than 32 years. As general manager of the Best Western in Cranbrook, Crystal Scott has made a great impression on the community. She incorporates her considerable education and experience to run the business smoothly. Logan Shellborn, Story & Co.
As part of the Story & Co. team, Logan Shellborn brings her creativity and design skills to the table. She has done an awesome job with promotion and branding for a number of key clients, and clearly has a bright future ahead. As a licensed Realtor, Sinclair will do all the legwork to make your house hunting or selling go better than you ever imagined. She is willing to research current trends and pricing, and put in the work necessary to take the stress off her clients’ shoulders. As general manager, Sandra van Steijn has contributed greatly to the St. Eugene Golf Resort & Casino. She began her career in Holland, and her wealth of experience has been a tremendous benefit to her current position. In her role of executive director for Tourism Golden, Joanne Sweeting has done her share to promote the gorgeous community. She has marketed Golden as a destination of choice for vacationers and outdoor recreation enthusiasts. Meghan Tabor is the marketing manager for Tourism Revelstoke, and she has done her community proud. She co-ordinates with the City of Revelstoke, the Revelstoke Chamber of Commerce, Destination B.C. and Kootenay Rockies Tourism, to draw more tourists to the area. At MJ’s Floral Boutique, Taylor has been creating impressive floral arrangements since she took ownership of the business with her mother, Brenda Taylor, in 2015. Her creative flare makes every bouquet special. In partnership with her husband, Shawn Tegart, Leanne has taken to entrepreneurship with passion. She co-owns Arrowhead Brewing Company, an Invermere brewery that has won several awards from the Columbia Valley Chamber of Commerce. Thompson is the clinic owner and a physiotherapist at Cranbrook’s Kootenay Therapy Center. She specializes in treating clients with chronic pain, and provides group educational opportunities to benefit the community. Shannon Veitch has been integral in helping home buyers and sellers for more than two decades. She is a long-time Creston resident and is willing to answer questions and guide clients as much as they require. A member of the artisan community of Crawford Bay, Janet Wallace is known for her handweaving talents. You can check out her latest creations at the Barefoot Handweaving studio. These inspiring ladies co-manage Realize Empowerment Access Life to the Maximum (REALM), a supportive service that fosters self-empowerment, advocacy and independence for adults with diverse abilities. Adams was once the co-owner of Whitewater Ski Resort, and ran the Fresh Tracks Cafe. Her dishes were so popular that she was inspired to write a cookbook, Whitewater Cooks, Pure, Simple and Real. Askew uses innovative programs and marketing techniques to make buying and selling as stress-free as possible for her clients. She’s been winning awards for her service since her first year in business, and is the only Realtor in the Kootenays to win the coveted Double Centurion award. Mary Austin, Austin Engineering Ltd.
Mary Austin is the director of business development at Austin Engineering Ltd., where she is responsible for sourcing opportunities, business and relationship development and community engagement. She uses her talents and knowledge to build and strengthen networks for the company. As a co-owner, Bauman makes it her top priority to look after customers at Kootenay Valley Water & Spas. The Castlegar store sells bottled water products, swimming pool supplies, hot tubs, barbecues and more. Owner of Mountain Waters Spa and Wellness, Marni Beninger began her career working in the spa’s guest services department. She became a manager in 2009 and an owner in 2010. Since then she’s continued the legacy of luxurious wellness and relaxation services offered there. At Nelson Animal Hospital, Celeste Bignell takes care of Kootenay critters with the most updated technology and techniques available. Pet owners know they can trust Bignell to offer the best in preventative care and treatment options for their furry family members. Sydney Black is the executive director of the Nelson and District Arts Council. She is committed to promoting local art and cultural activities in the community by accessing funding and supporting Kootenay artists. Currently the administration manager for Kootenay Co-op Radio, Breton has a history of leadership in Nelson. Prior to this, she was also the executive co-ordinator for the Kootenay Boundary Community Services Co-operative, and the executive director of the Association des Francophones des Kootenays Ouest. Byers is a home inspector with Pillar to Post, servicing the entire West Kootenay and Boundary areas. She has been assisting clients for over five years, providing accurate and unbiased assessments of local homes. Jocelyn Carver is the executive director of the Kootenay Career Development Society’s Baker Street location. She uses her interpersonal skills and business savvy to connect prospective employees with local employers. At her serene studio in beautiful Fruitvale, Colleen Coffin teaches her students how to find peace and wellness through the gentle practice of yoga. She excels at helping clients achieve healthy balance in their lives. Since 2011, Dianna Ducs has been serving as the executive director of Nelson Kootenay Lake Tourism. Given her 20 years of marketing experience, it’s no wonder she has played such an integral role in the organization’s success. After growing up with a love of nature, Colleen Emery pursued an extensive education in herbal medicine and natural healing. At Emery Herbals, she prides herself on caring for clients with traditional techniques and educational workshops. Ferreux has 20 years of entrepreneurial experience, and uses her knowledge base to inspire other business owners to thrive in tough economic times, and endure the challenges inherent in business ownership. Always striving to make Nelson even better, Finley has a strong work ethic and runs Finley’s and Sage Tapas and Wine Bar accordingly. She has a large role in the family feel and welcoming environment that the bar offers. At Birch n’ Burlap, Gallant deals in vintage furniture, refinishing and hardware. Customers say she puts her heart into everything she does, and it shows in the quality workmanship that comes from her store. Rose Hoeher co-ordinates KAST’s coaching services for local entrepreneurs. She is also involved in tech meet-ups and a number of other community ventures to assist business owners in reaching their goals. Tersia De Jager and her husband, Ben De Jager, came all the way from South Africa to bring their business talents to the Kootenays. As co-owner of Columbia Gardens Vineyard and Winery, Tersia creates quality products and does her community proud. Diane Kalen-Sukra is the Chief Administrative Officer of the Village of Salmo. Despite her busy job there, she also finds time to serve as the staff advisor for the Economic Development Committee. Lettrari is the general manager of family-run business, Kaslo Sourdough Pasta. In only three years, she helped take the company from a grassroots start-up to being an award-winning business. Natasha Lockey is the founder of BettyGoHard, Mountain Shuttle, Kootenay Mountain Bike Coaching and Kootenay Snowshoeing. She originally came from New Zealand, and has a passion for outdoor recreation. Johanna Mickle is a multi-talented entrepreneur. She not only works as a web developer and designer, but she also promotes local cuisine through her popular catering company. Moores-Jones helps buyers and sellers in the busy Kootenay Real Estate market. Her exceptional customer service skills and knack for Real Estate marketing have been huge assets to her community. Napora took her aptitude as a corporate relations specialist and turned it into a successful business - Abby Napora Counselling and Corporate Consulting. She helps fellow entrepreneurs realize their potentials. Rauni Naud, Sunlife Financial and Naud Lester Insurance & Investment Solutions, Inc.
Rauni Naud works closely with her clients to help them understand their financial situation and create new goals. She assists them in making sound monetary decisions, building their savings and preparing for a bright financial future. Danica Pion is a clinical dietician with Golden Life Management, and the owner/operator of Mindful Mountain Yoga in Rossland. She is passionate about helping others improve their health and quality of life. Fiona Richards, Cartolina Cards Inc. Selling “curiously unique” paper and gifts, Fiona Richards is the owner of a welcoming little shop in Nelson. The business is located in a gorgeous heritage building, and carries greeting cards for every occasion. Kayte Rock began her career in Nakusp, selling jars of her sweet and spicy black bean soup at the local farmers market. After selling out in half an hour, she knew she had a brilliant concept. Now she sells more than 30 varieties of wholesome soups in grocery stores, cafes and school lunch programs. These two ladies co-own Movin’ Mountains Therapy Services, where they use their occupational therapy and physiotherapy skills to help children and youth of all abilities get more mobile and healthy. As executive director of the non-profit Nelson Civic Theatre Society, Eleanor Stacey has done an excellent job promoting an array of cinematic and media productions for the Nelson community. Deanne Steven has a wealth of experience under her belt. She has taught economics, served as executive director for the City of Rossland, and has also played a large role in organizing the Rossland Winter Carnival. Originally from Calgary, Sutherland worked for 15 years as a contract analyst for the land departments of oil and gas companies. Her years of experience drafting and negotiating contracts has served her well at Royal LePage Revelstoke. Consistently bringing fresh, quality ingredients to her kitchen, Evie Tjader has built a business around her commitment to healthy eating. She uses classic recipes that have her own special twist, and Fruitvale diners are in love. Not only does Nancy Trotman assist clients with their mortgage needs, she is also a huge community team player. She co-owns KFS Inc. alongside her husband, and co-founded West Kootenay Women in Business. She is also the president of the Red Resort Association and a member of the Tourism Rossland Board. As the executive director of the Castlegar chamber, Verigin-Burk has seen membership jump by a third since she took her position. She has also helped implement a tourism strategy, create an economic development program and contributed to Castlegar in many other ways. Andrea Wilkey takes pride in her position as executive director for Community Futures Central Kootenay. She assists new and prospective business owners in gaining the skills they need to have their best shot at success. Melody Zacharias is a partner at ClearSight Solutions, helping businesses to link, store and organize data. She also helps clients interpret that data to find the most value in the information gleaned.